Perhaps the most popular offering under our Critical Incident Stress Management service area is the annual Post Critical Incident Seminar. 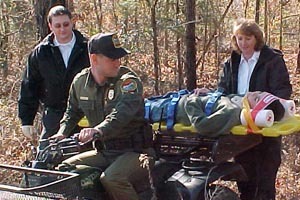 Created by the FBI specifically for law enforcement officers, the PCIS offers SC officers a safe and effective method for post-incident training in critical incident stress. 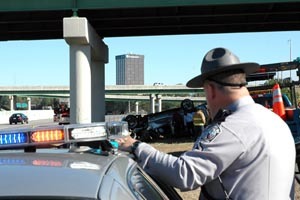 Offered only to officers who have been through highly traumatic events, the PCIS can mean the difference between staying on the job or leaving law enforcement for another profession due to the unresolved and unexamined effects of critical incident stress. There is no fee for the seminar. Participating departments and agencies will cover the costs of meals and two nights of lodging. Registrations are handled on a first come, first served basis. When 35 slots have been filled, a waiting list will be compiled based on date of receipt of registration. Upon receiving your registration, SCLEAP staff will contact you with further details. To register for seminars, complete the registration form and return it to SCLEAP as directed on the form. Registration forms can be downloaded here in PDF format and can be completed using Adobe Acrobat Reader on your computer. Please use separate registration forms for you and your spouse. Download a brochure in PDF format. March 29, 2018: Interview of Eric Skidmore and associated story on WIS-TV, Columbia, SC. Read comments from past participants. Download PDF of article "Pastoral Leadership for Police in Crisis" by The Rev. Dr. Alexander W. Evans. Responding to tragic events like the VA Tech shootings can cause lasting flashbacks and emotional burdens that can change the psyche of a police officer. View this video to find out how VALEAP (VA Law Enforcement Assistance Program) is helping police officers overcome the haunting effects of working critical incidents by connecting and sharing with their peers. Music by Point Judith.